This month The Food In Jars Mastery Challenge centres around fermentation. 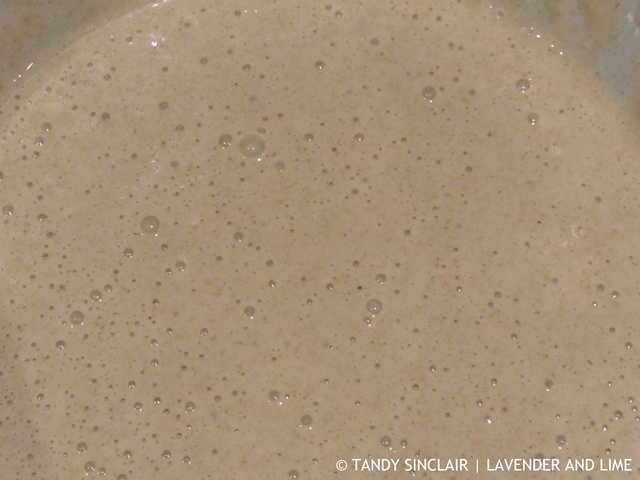 I decided to make a rye sourdough starter so I can experiment with new types of breads. How we approach life and what happens to us can make all the difference. Last Tuesday a fire blazed through the mountain above where we live. The biosphere has to burn for the fynbos to grow. We have got used to the fires and most times they do no damage to the houses on the mountain. The worst we experience is a lot of soot on our floors and in our pools. Not to sound blasé, but when our neighbours who live below us called Dave to say they were getting ready to evacuate I had a little chuckle. There is no way the fire could get to us and I have never been worried about that. However, the smoke was really bad at the top of the mountain and I sent a message to a friend to see if they were OK. Her reply to me was that they were safe, and at their workshop. Their house had burnt down and they had managed to save themselves, the kidlet and the animals. Her partner woke up the next morning and told the world that he had all he needed right next to him! My response to reading how they were looking forward to starting again made me realize something. We have a choice to make about how life affects us. I think that by focussing on what we have, we have it all! Alex will have lost his sourdough starter in the fire and so I have made him a new one. I am also looking forward to experimenting with the rye sourdough starter and sharing with you all the new loaves I make. If it is, you can start using it! * Your house might be too clean! Try using only hot soapy water to clean your kitchen for a week before trying again. Or, where you live is too polluted and the air has no natural yeasts floating around. Thank you for sharing this, Tandy. I have never made rye bread. 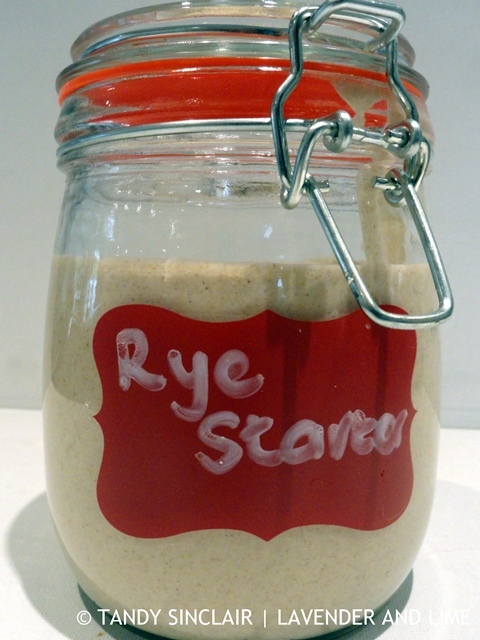 I will be making a full rye from my starter. Oh wow more fires? 🙁 Sorry to hear that! That’s a really nice attitude to surviving a fire. I met the loveliest South African couple who lost everything and they had such a resilient and refreshing attitude. It makes a huge difference to just have a good attitude. Not sure if I could get used to fires burning around our area but you are so right it is how we decide to deal with things. Great directions for the starter. It’s always scary when they happen but thankfully in our area we don’t experience much loss. Not sure I’m cut out for working with starters. They do produce the most wonderful breads though.